The U.S. civilian labor force participation rate is the ratio of the U.S. civilian labor force divided by the U.S. civilian non-institutional population. This ratio is then multiplied by 100 to put the units in percent. 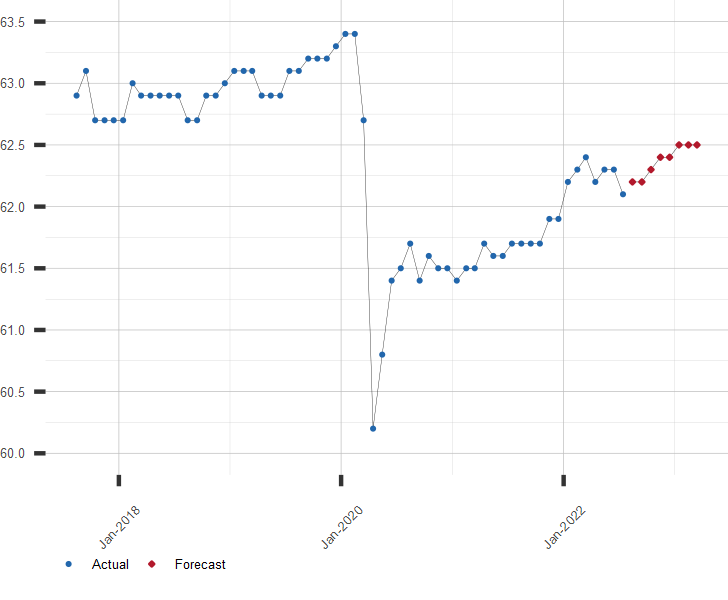 U.S. Unemployment Rate Long Range Forecast. A long range forecast for the U.S. Unemployment Rate and nonfarm payrolls is available by subscription. Click here for more information or to subscribe.